With busy work schedules and social lives, keeping on top of the cleaning can often drop to the bottom of the list, leaving your home messy and somewhere you really don’t want to come home to at the end of a busy day. Let Workbusters work their magic on your home with our professional domestic cleaners. We will leave your house / flat /maisonette sparkling clean, and ready for you to come home to; a tidy haven that you can relax in and enjoy. Our friendly teams of efficient, thorough and speedy house cleaners will take the dust and grind out of your life, and add sparkle and shine, leaving you time to do the things you want to do. 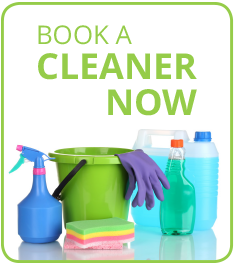 Our cleaners are available seven days a week, at a time of day that suits you and are fully trained to ensure top quality. Workbusters will have your kitchen shining and your bathroom sparkling from tile to tap. You can rely on us to send the best London cleaners to your home. We will always try to send the same person to your property so that they can get to know your home and the way you like things done. They will get to know your specific needs and will often be able to predict your requirements. Workbusters are so much for than another cleaning company, all of our cleaners really care about their work and the properties they clean, giving 110% to ensure you come home happy and into a space, you can enjoy! Just got in after a very long and hectic day and had completely forgotten Anna was coming in. Remembered this morning – just – but that seems a long time ago. But what a lovely surprise!! Such a simple thing, having your home cleaned but so lovely to walk in to it really sparkling!! I’m pretty minimal and slightly fussy but feel this was a good decision, feel like I’ve fallen in love with my flat again!